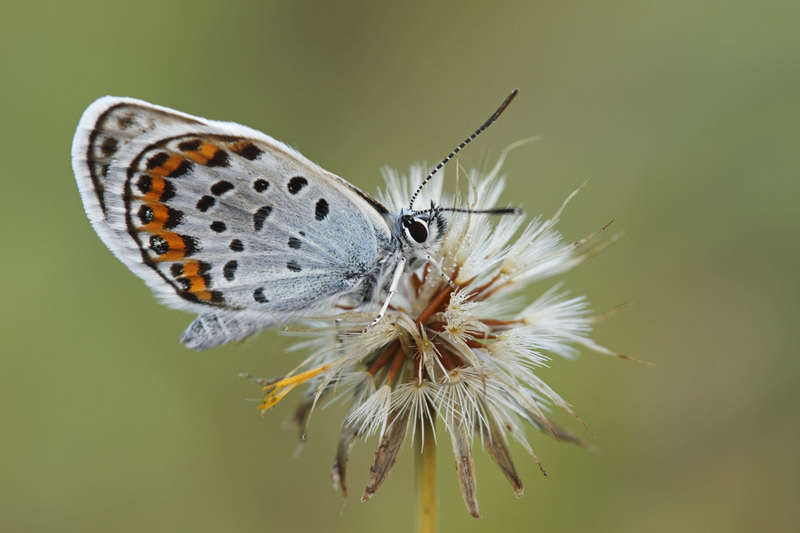 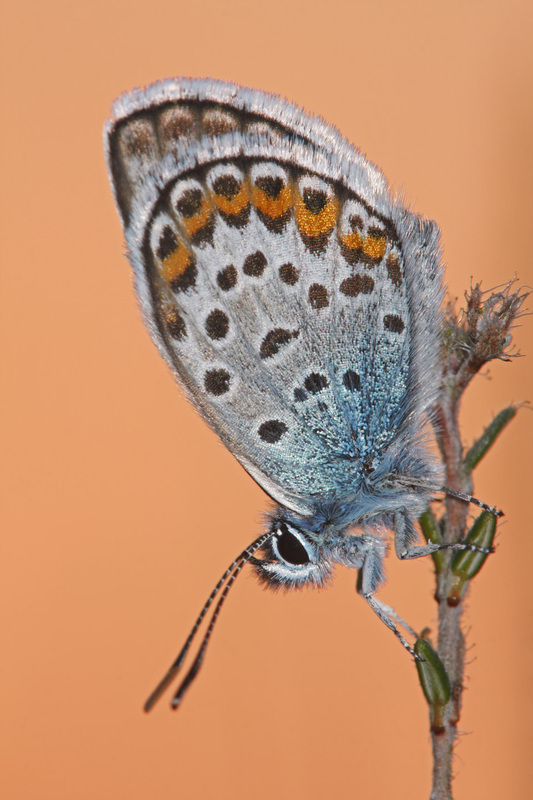 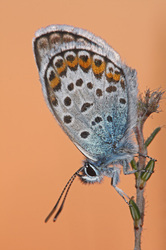 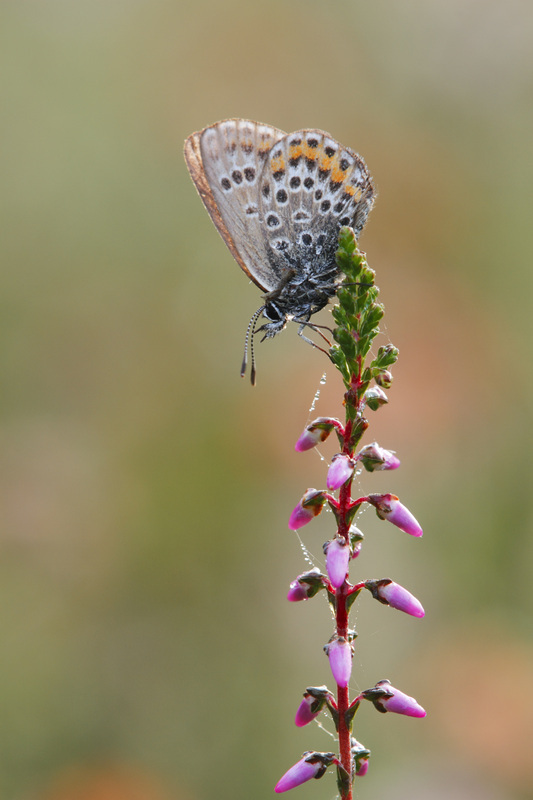 The male upperside of the Silver-studded Blue is a deep blue with black borders. 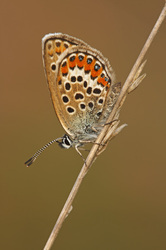 The female is chocolate-brown with orange lunules on the hindwing and sometimes on the forewing as well. 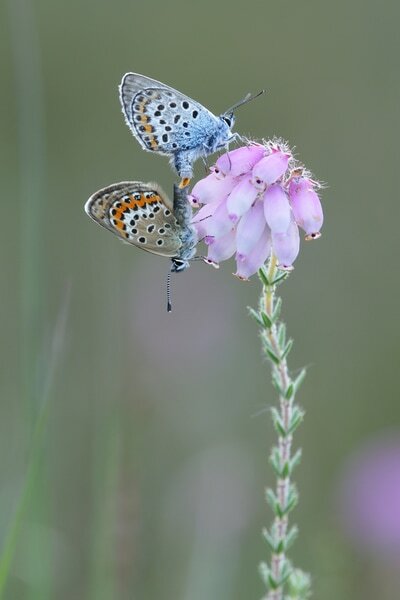 The butterflies spend a lot of time resting with their wings closed. 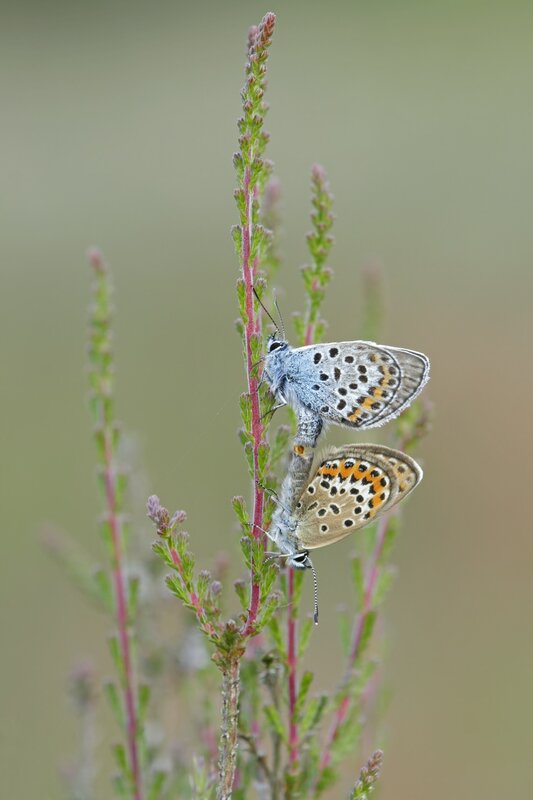 Flight from May to August in one brood. 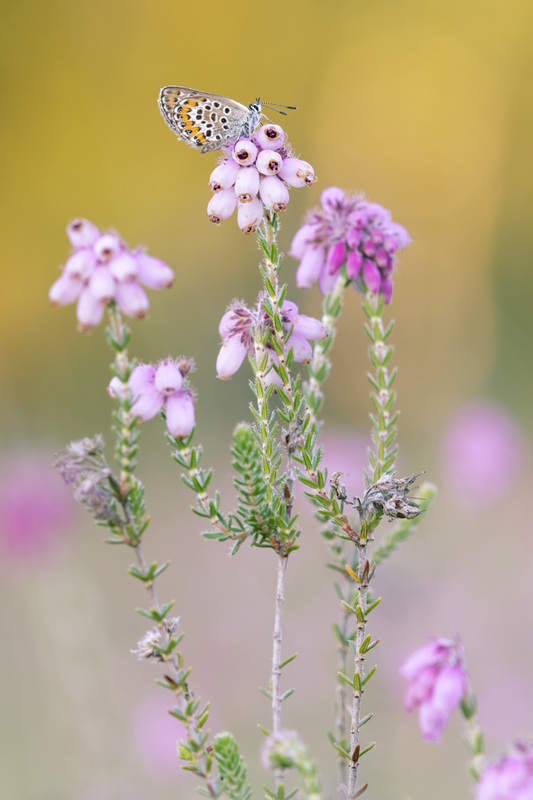 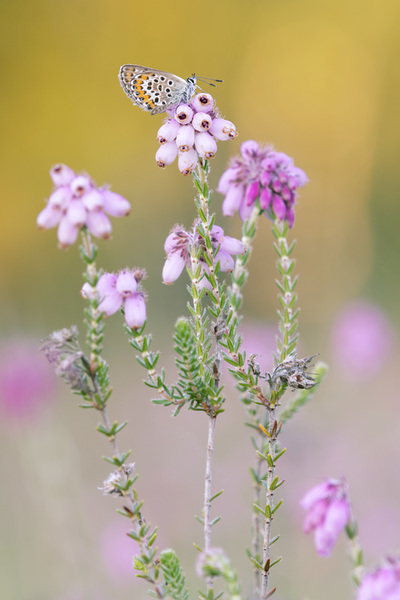 The larval foodplants are Heather, Rock-rose and a wide range of leguminous plants. 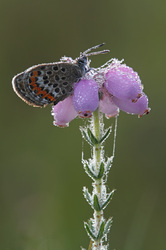 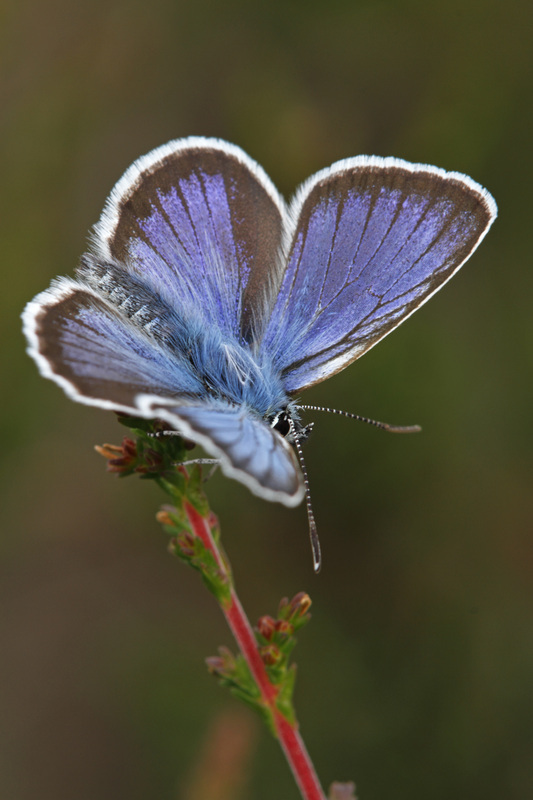 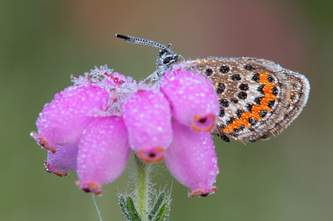 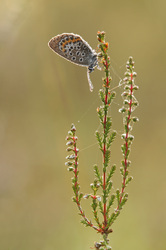 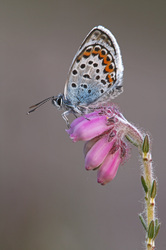 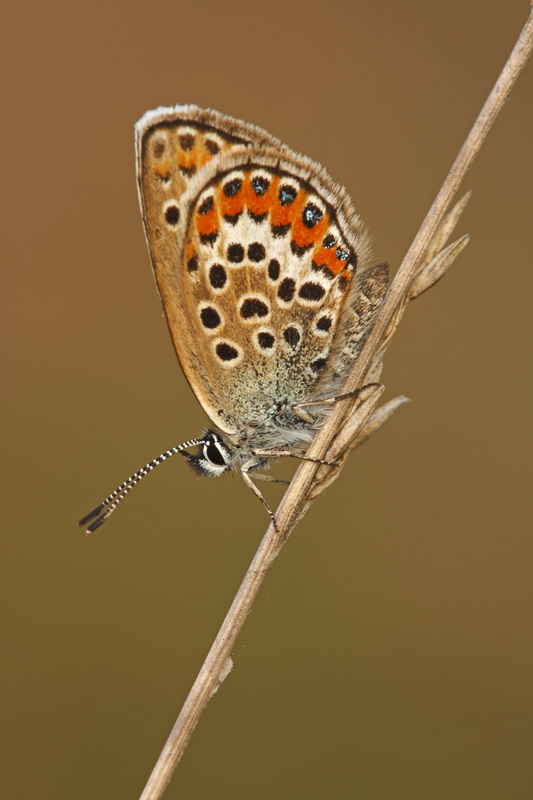 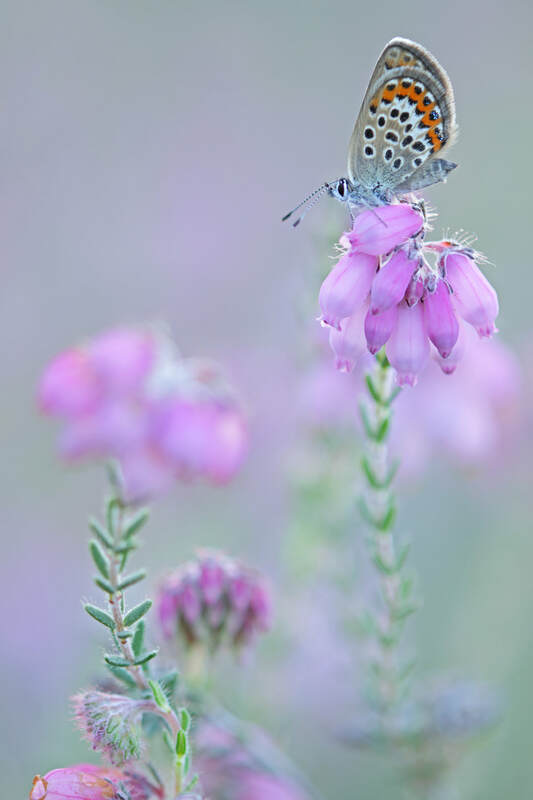 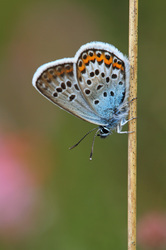 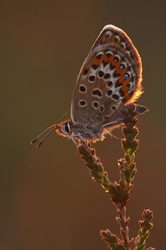 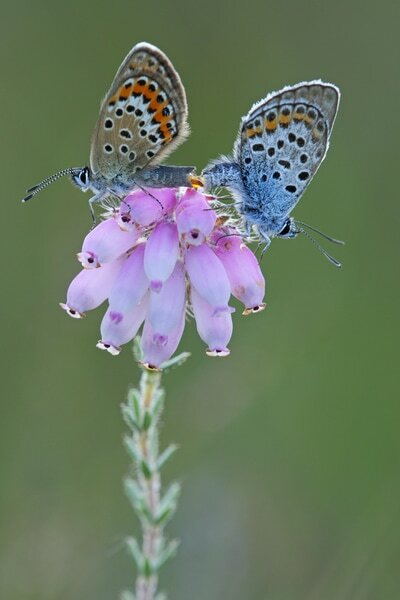 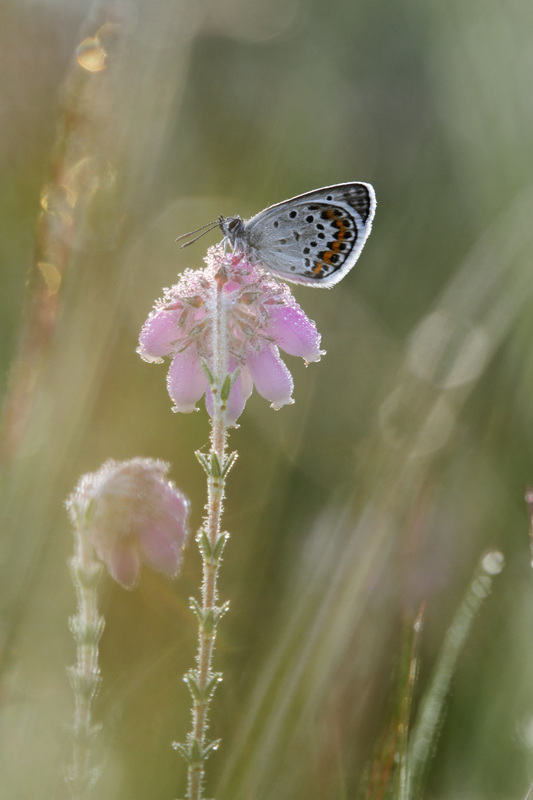 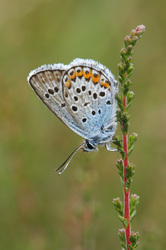 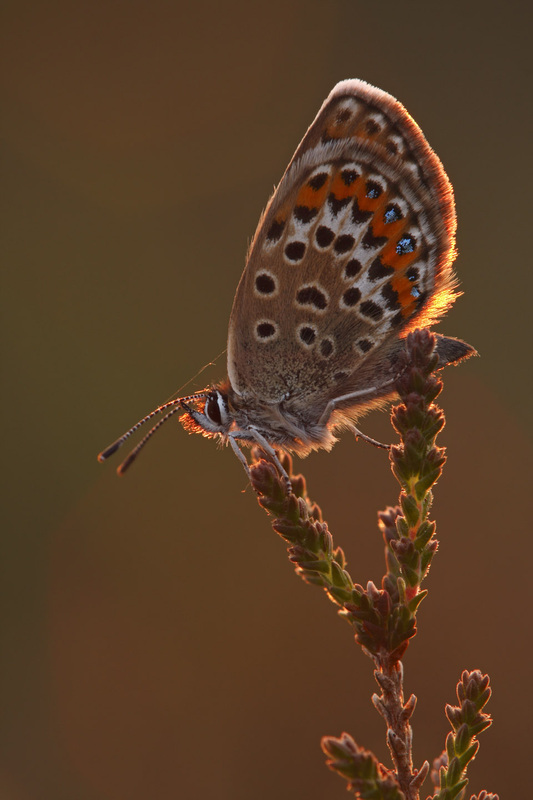 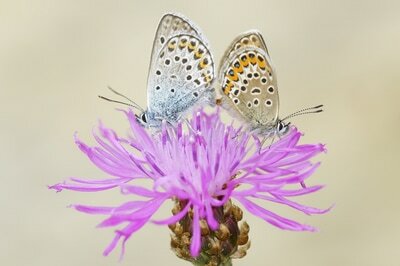 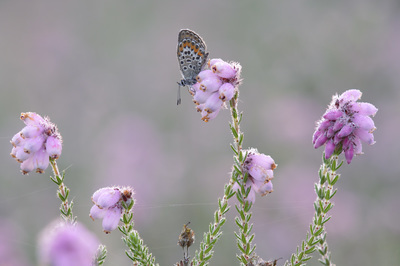 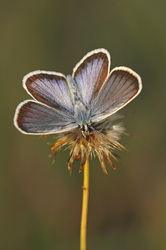 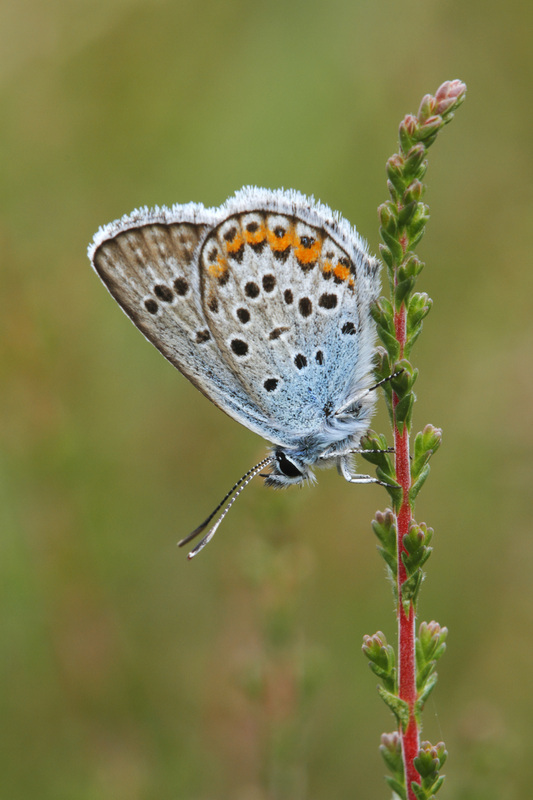 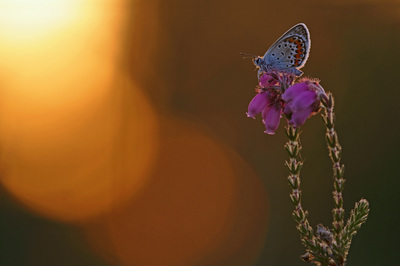 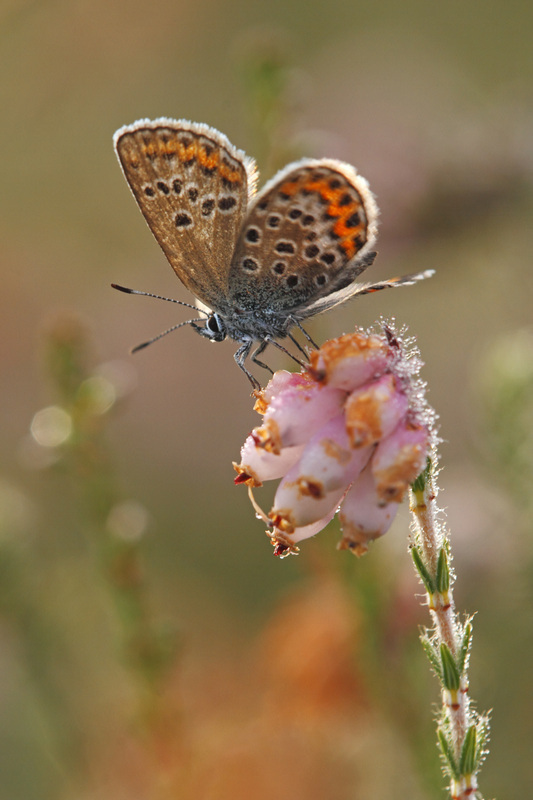 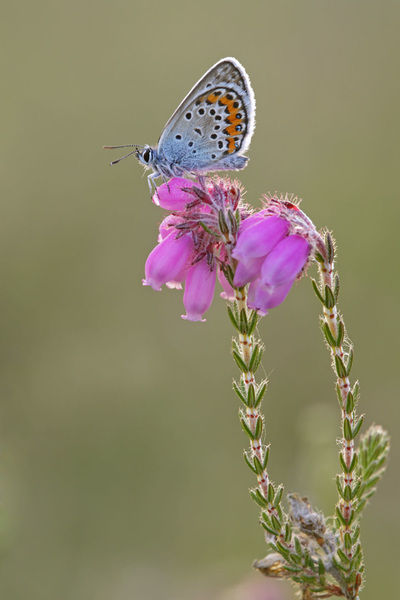 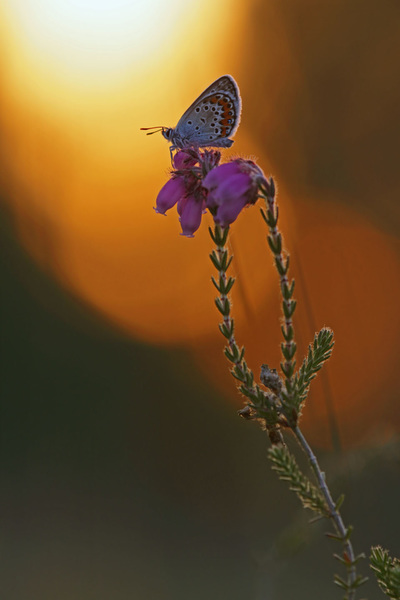 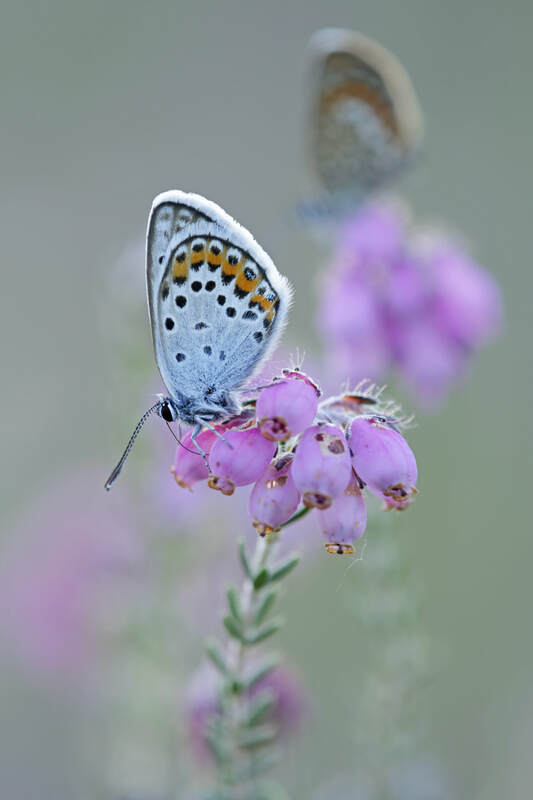 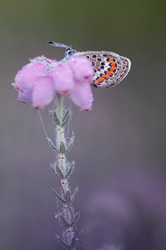 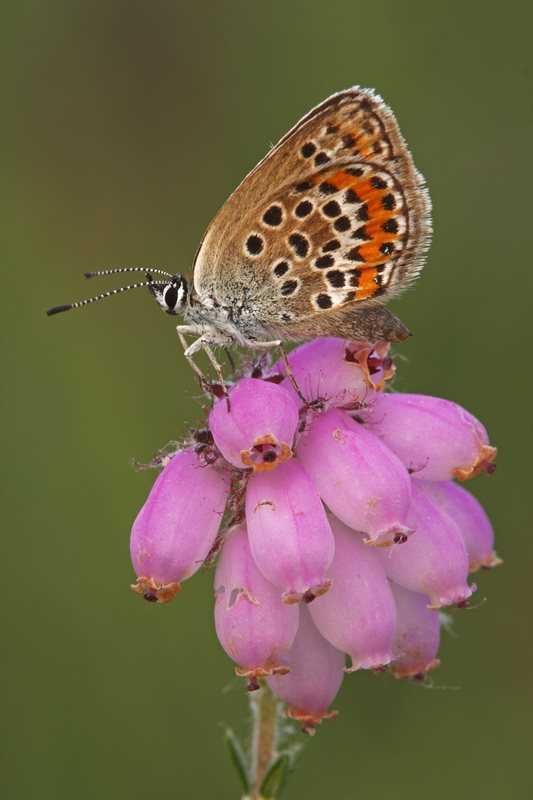 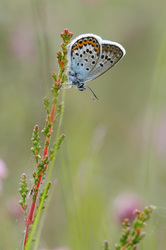 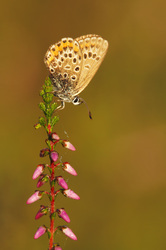 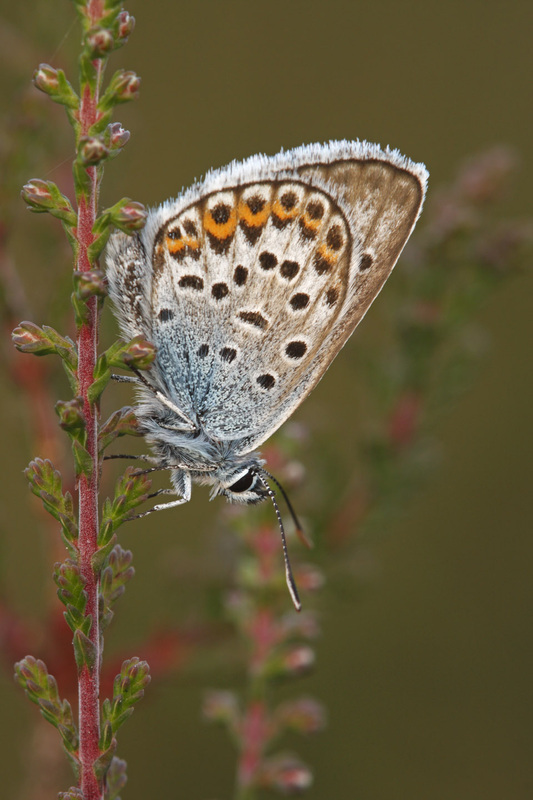 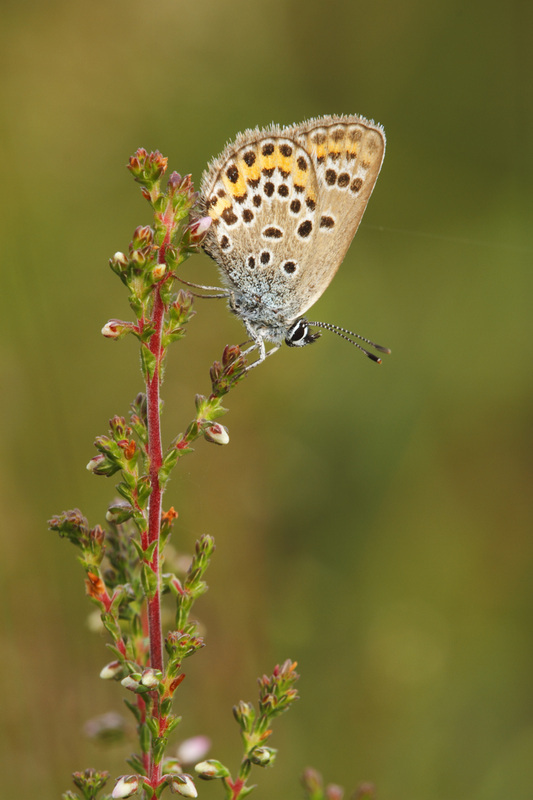 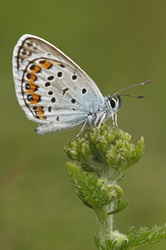 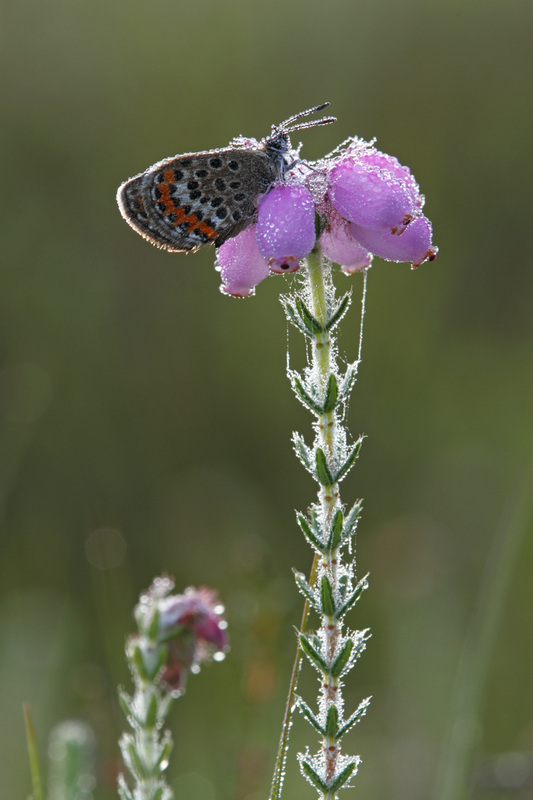 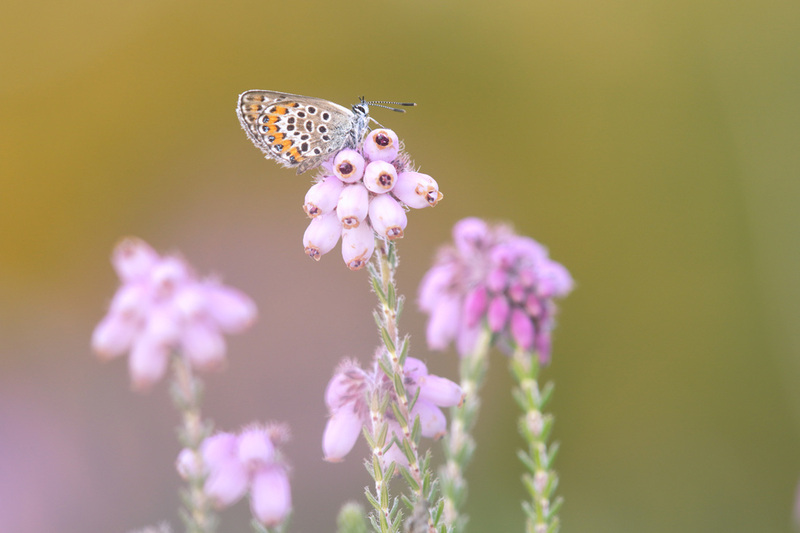 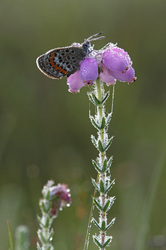 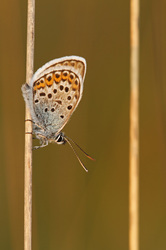 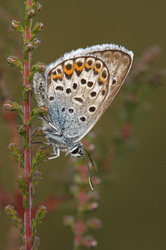 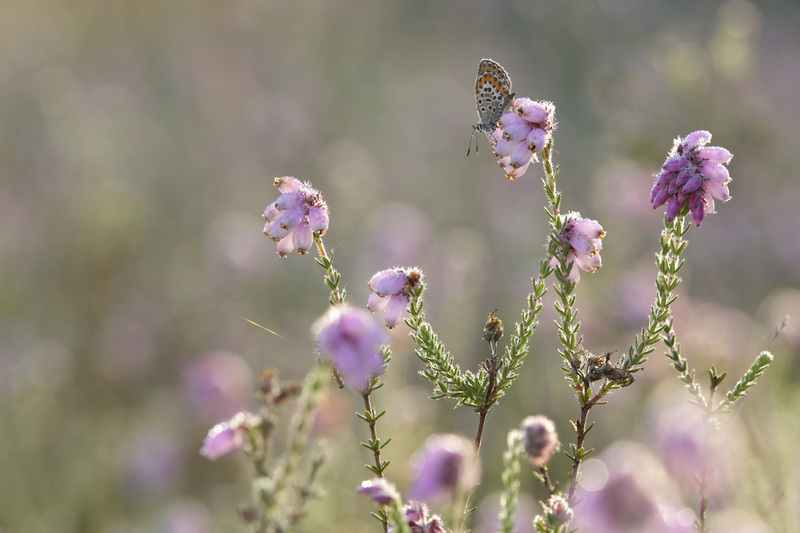 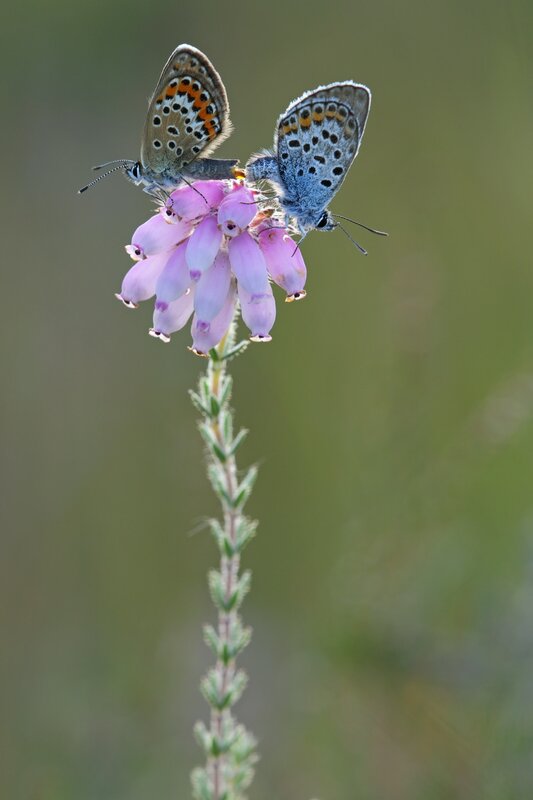 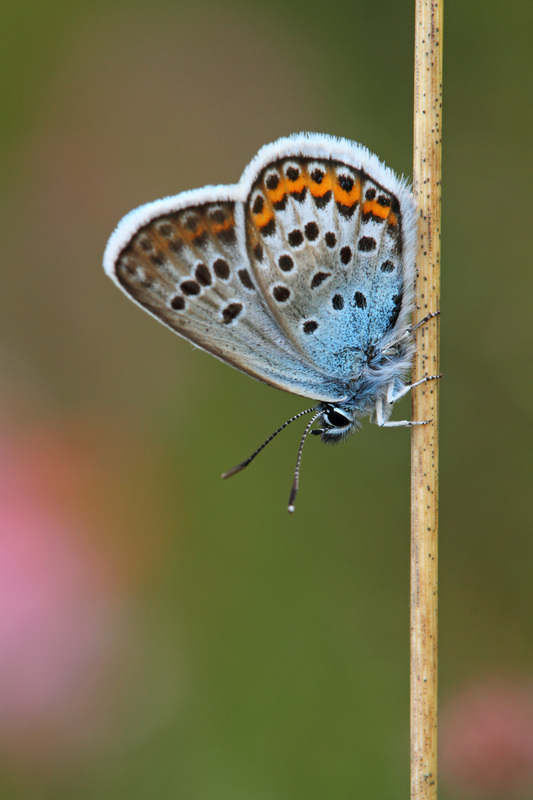 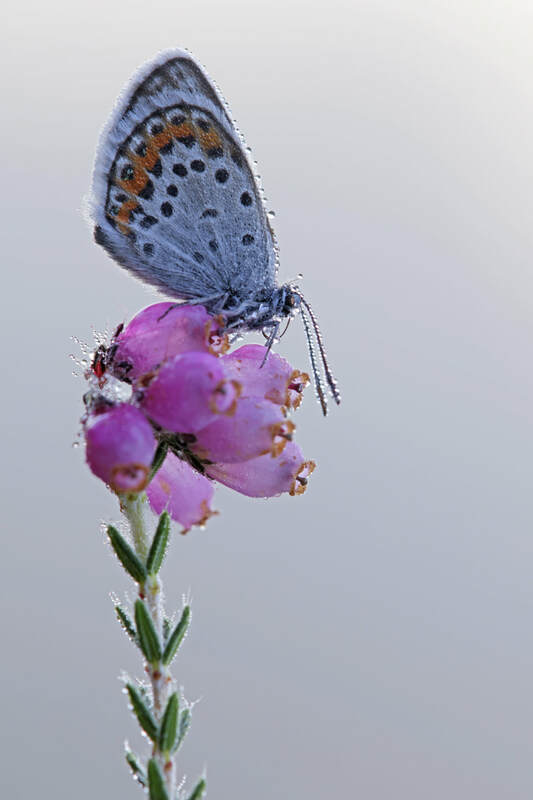 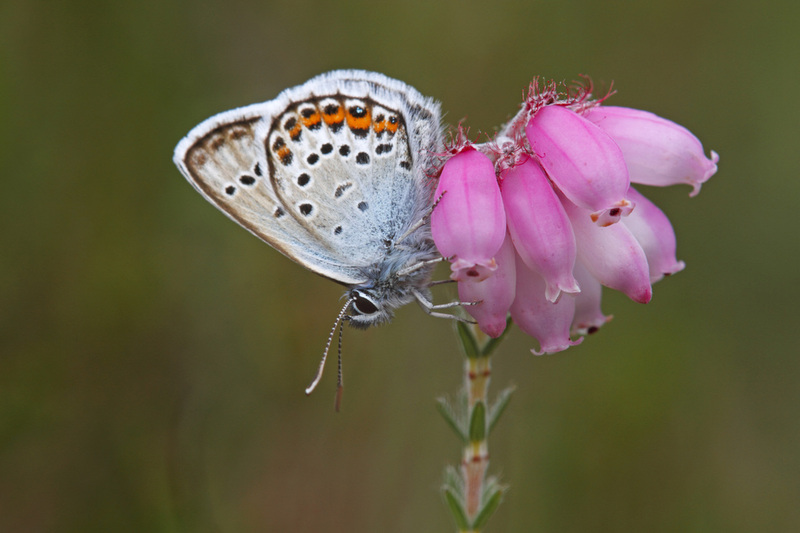 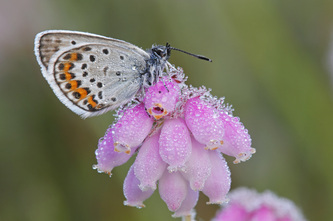 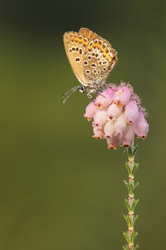 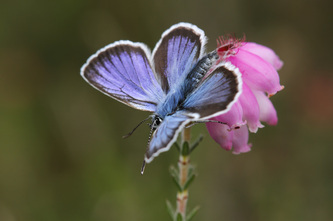 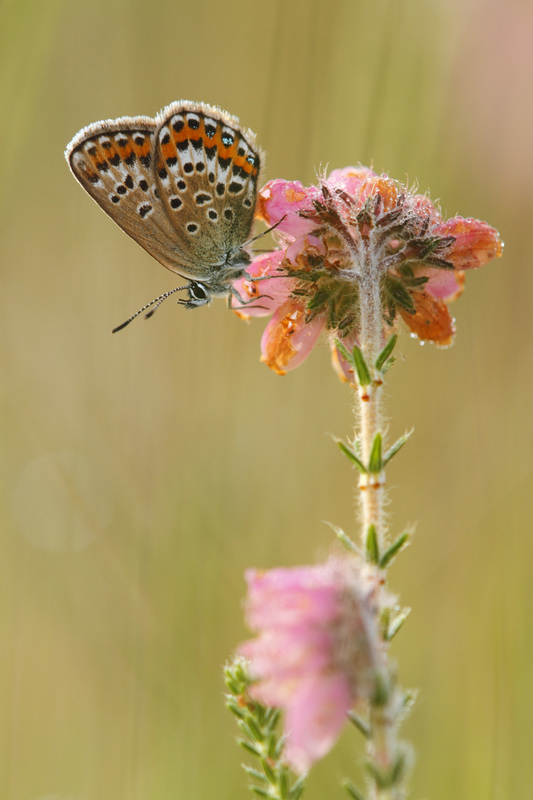 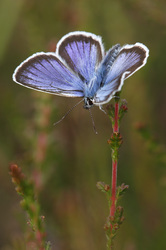 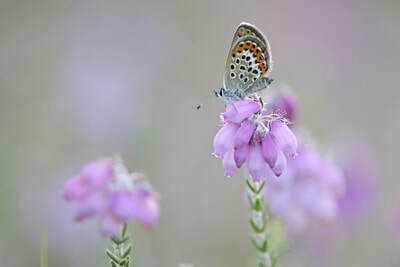 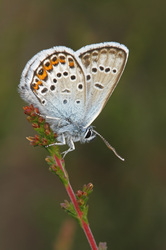 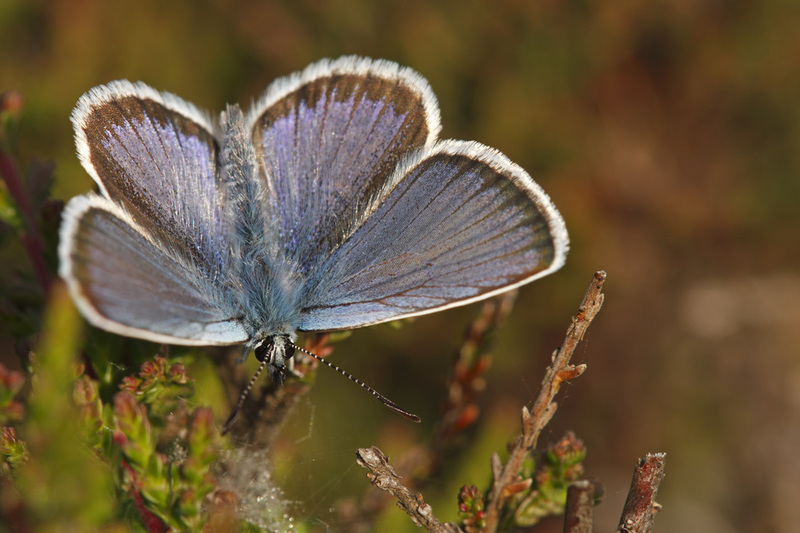 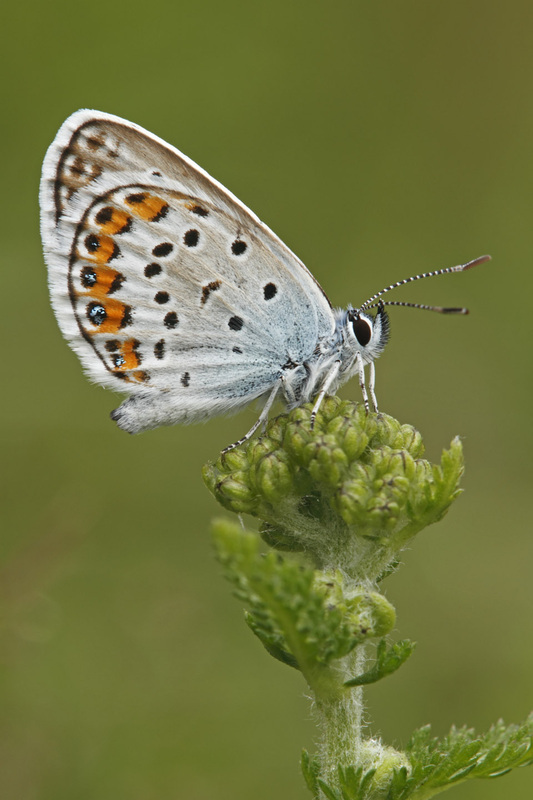 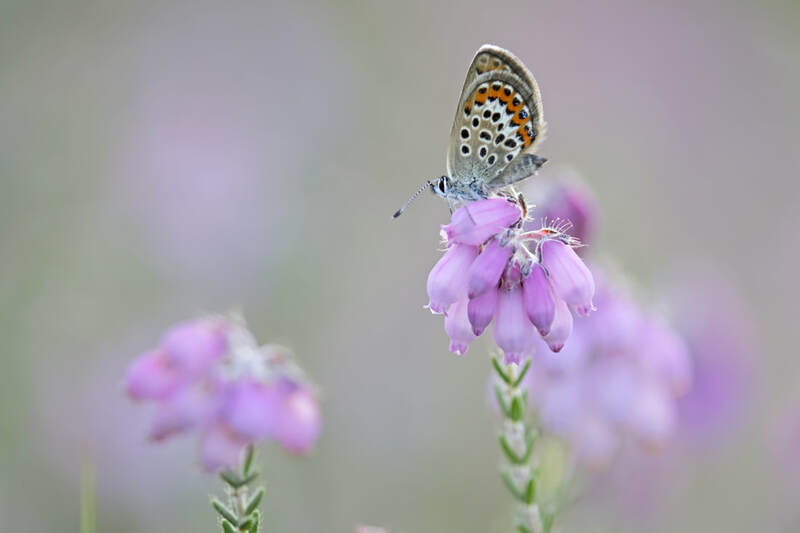 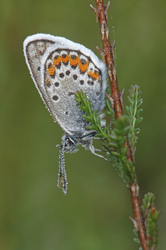 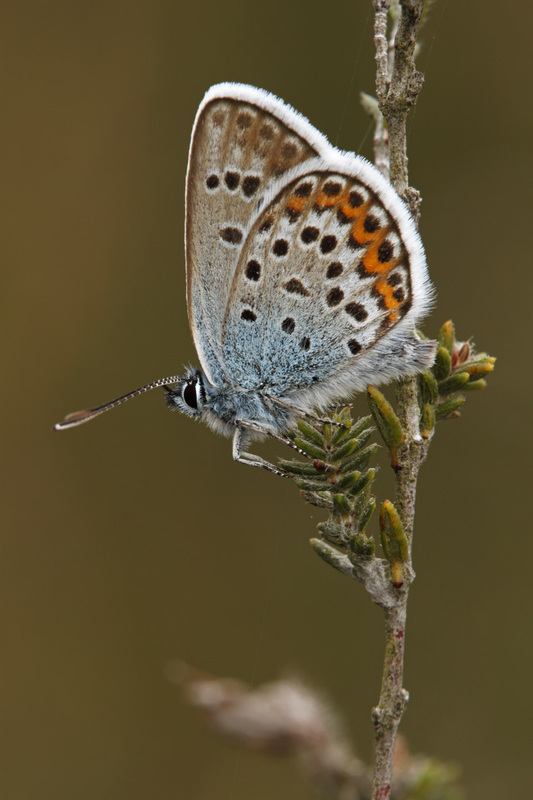 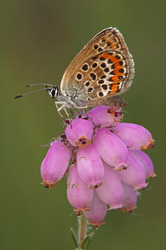 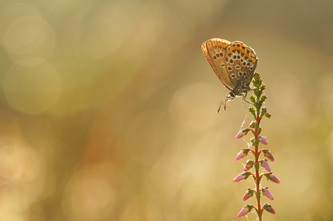 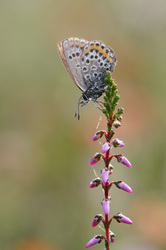 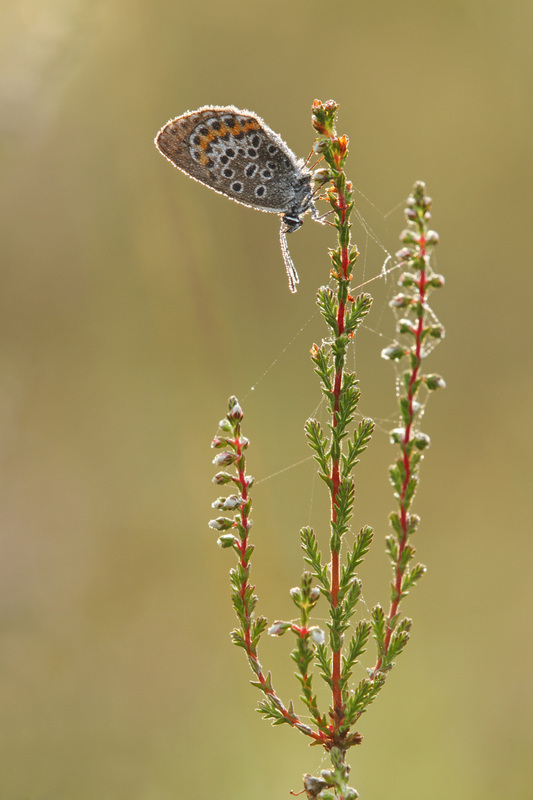 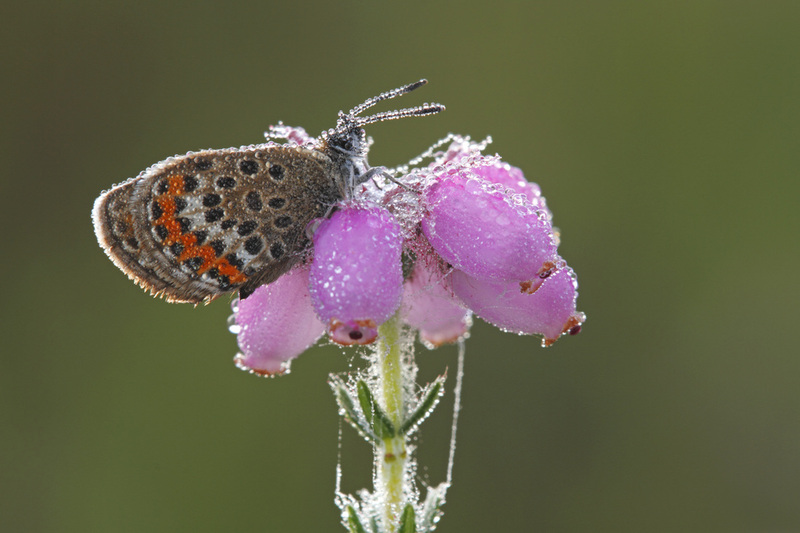 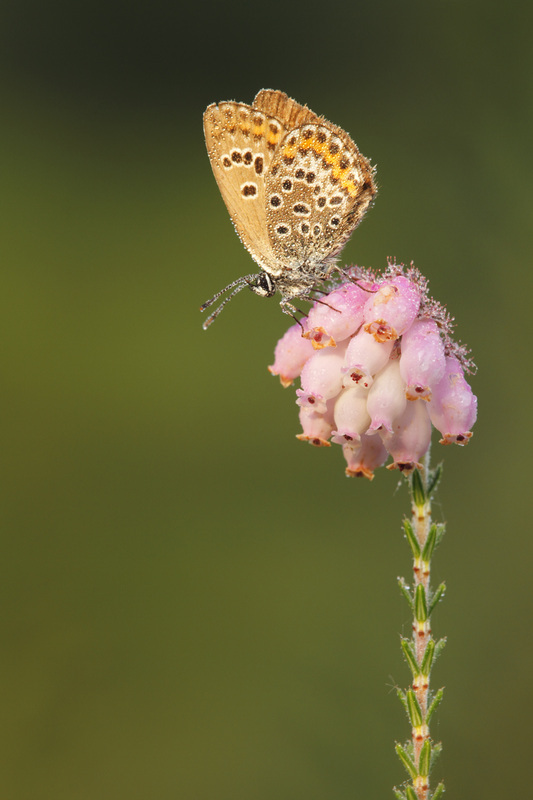 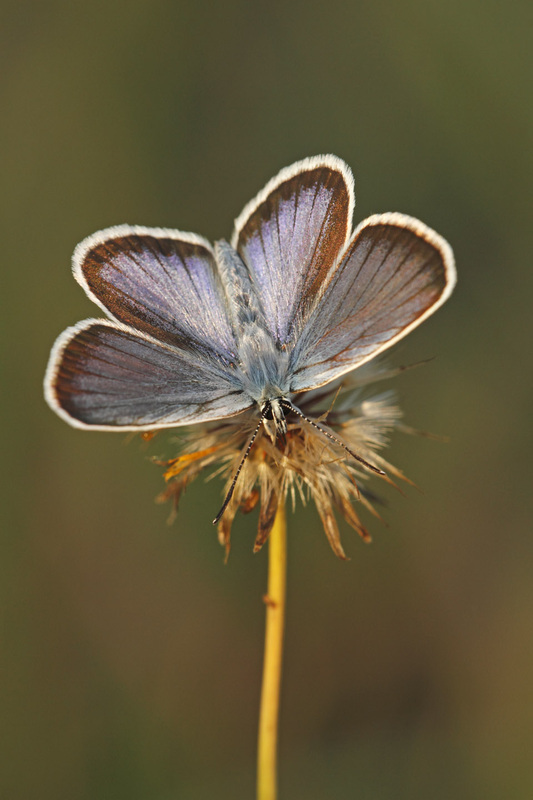 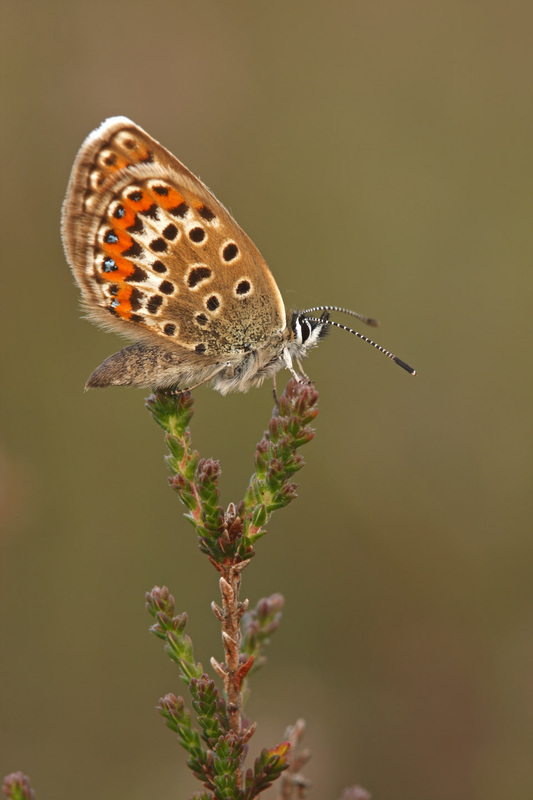 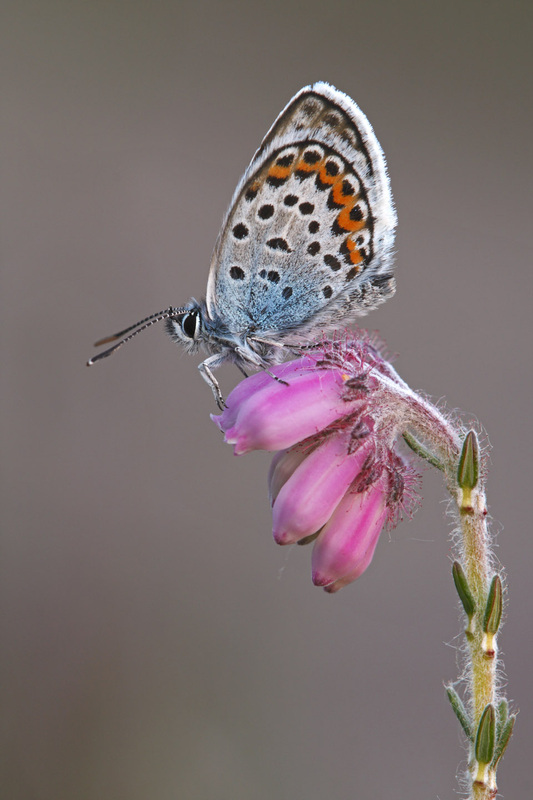 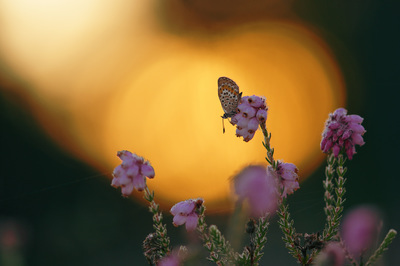 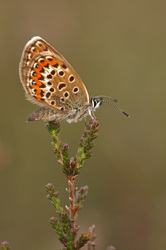 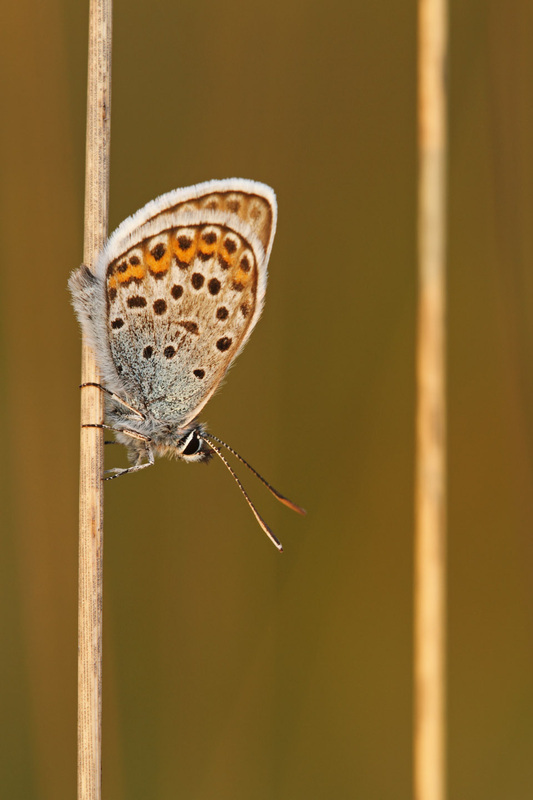 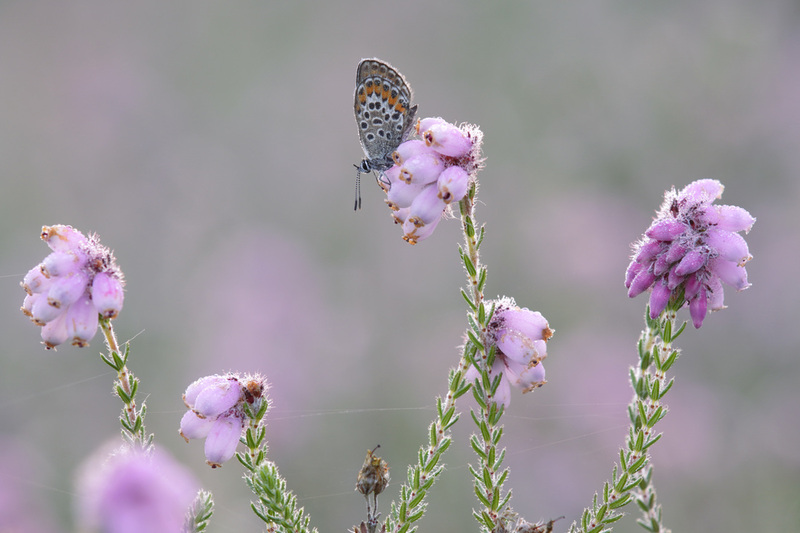 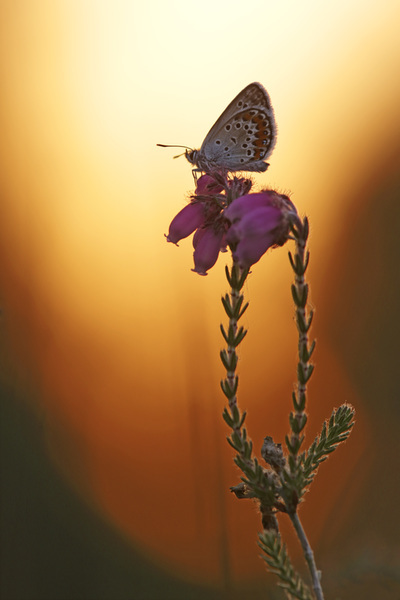 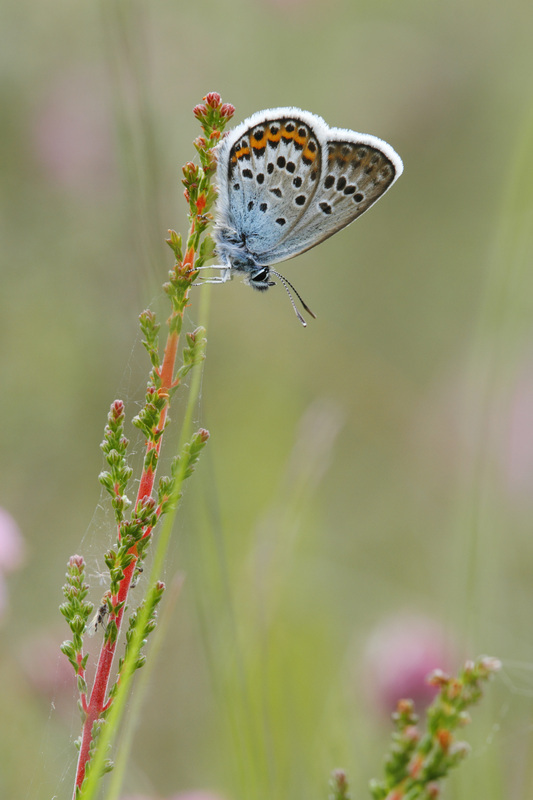 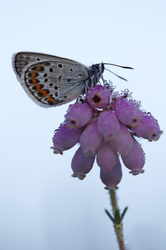 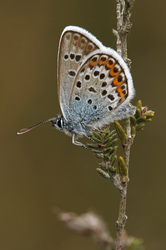 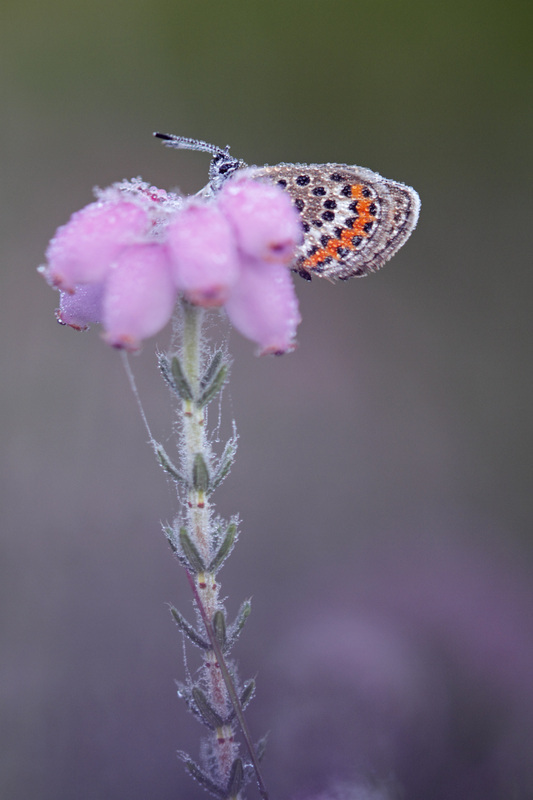 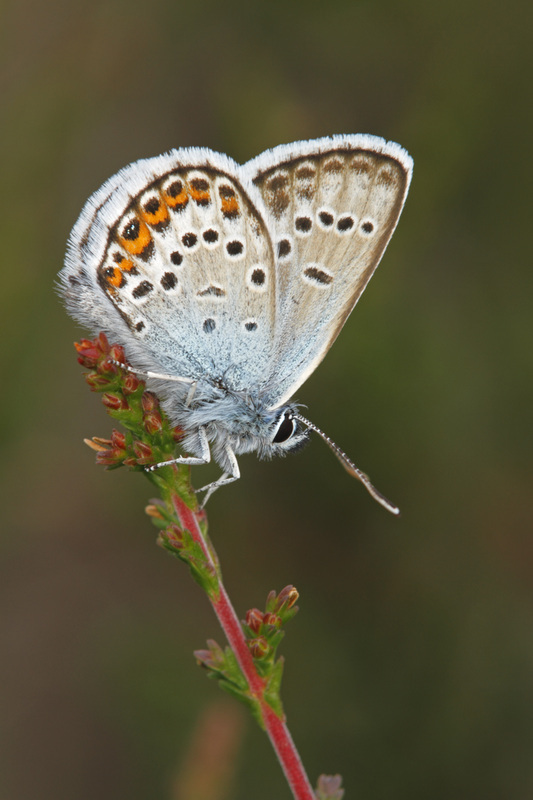 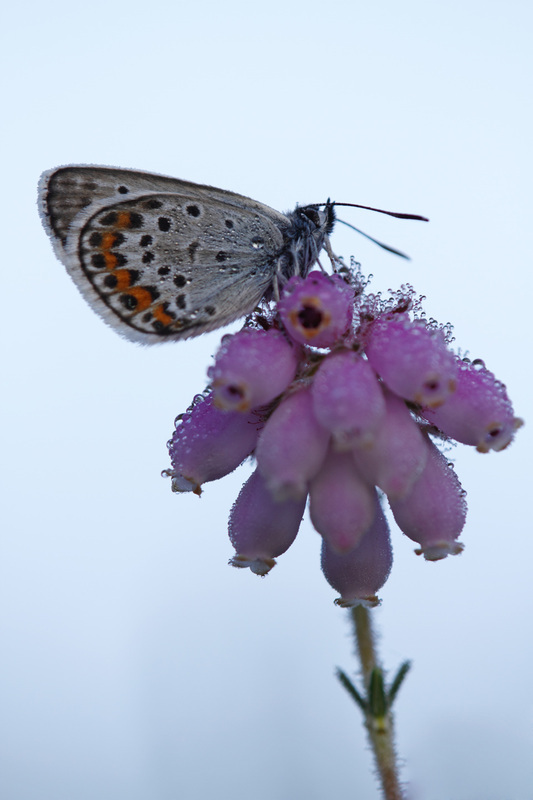 The habitat of the Silver-studded Blue are Heaths and grasslands.